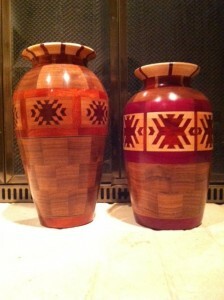 We always enjoy getting updates from our past “Show Us” contributors. 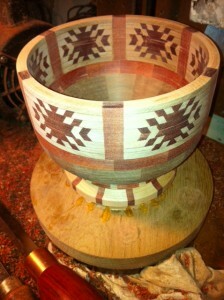 In September 2012, we featured the woodturning of Blair Swing in that month’s issue of The Highland Woodturner. After receiving a store credit from the article, Blair used it to order a few books on Segmented Wood Turning from Ray Allen and Malcom Tibbets, and quickly put the info from the books to good use and began creating segmented turning. 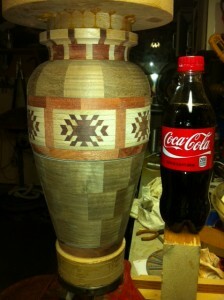 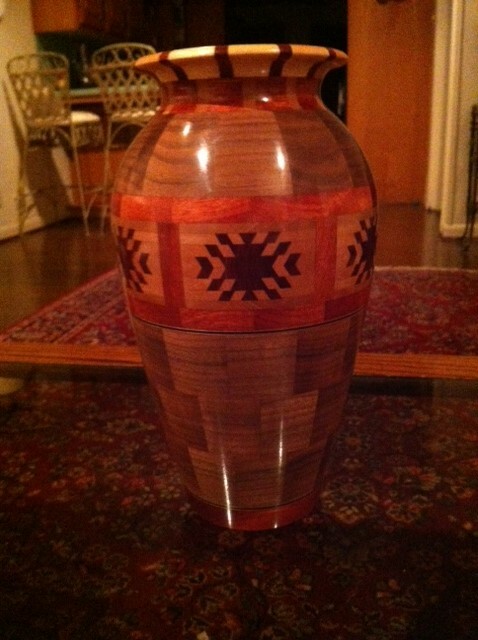 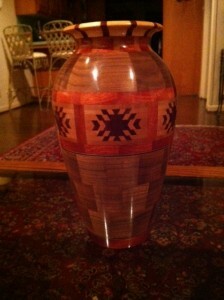 Blair’s first segmented wood vase had a total of 339 separate pieces, and was submitted to the 2013 Texas State Fair, where Blair won a Third Place Ribbon in the Adult Woodturning Competition. After winning, the vase was on display at the fair for several weeks.